Patrick Blackwell continues to expand his impressive repertoire in opera, oratorio and musical theater. His career has seen him engaged by many of the leading opera companies and orchestras of the US and Europe, including appearances with the Boston Symphony Orchestra at the Tanglewood Festival, the Munich Philharmonic, the Lyric Opera of Chicago and the Los Angeles Opera. Mr. Blackwell trained and studied with Enrico Di Guiseppe at the Juilliard School and began his career as a young artist with the Santa Fe Opera, Houston Opera Studio, the Merola Opera Program with San Francisco Opera, Opera Music Theatre International with Jerome Hines and the Aspen Opera Theatre Center. In Europe Mr. Blackwell has appeared in concert with the Munich Philharmonic in concert performances of PORGY & BESS, conducted by Lorin Maazel and in the Title-role PORGY & BESS for New York Harlem Productions’ European tour. Mr Blackwell’s association with this piece is extensive, having appeared as Porgy and in other roles with Utah Opera, the Boston Symphony Orchestra at Tanglewood (conducted by Sir Simon Rattle), Fresno Grand Opera, the Castleton Festival (conducted by Lorin Maazel), Union Avenue Opera, St. Louis and on tour throughout the United States. 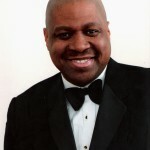 On the concert platform, Mr. Blackwell made his Carnegie Hall debut as the bass soloist in the world premiere of Earnestine Rodgers Robinson’s Crucifixion in addition to performing works by Mozart at the Arts Festival in North Korea, the Fauré Requiem with the Fresno Philharmonic and Osride in Rossini’s MOSE IN EGITTO with the New Jersey Symphony Orchestra at Lincoln Center in New York City. In the United States, Mr. Blackwell’s operatic engagements have included Leporello DON GIOVANNI, Colline LA BOHEME, Zuniga CARMEN and Dr. Grenvil LA TRAVIATA for New York City Opera, Balthazar AMAHL AND THE NIGHT VISITORS for Chamber Opera of Chicago, Utah Opera and Des Moines Metro Opera, 1st Nazarene SALOME and Dr. Bartolo LE NOZZE DI FIGARO for Utah Opera, Joe SHOWBOAT and Sarastro DIE ZAUBERFLOETE for Fresno Grand Opera, Ferrando IL TROVATORE for Knoxville Opera, Monterone RIGOLETTO and Sarastro DIE ZAUBERFLOETE for Union Avenue Opera, Il Re AIDA and Melitone LA FORZA DEL DESTINO for New Jersey State Opera and Tom UN BALLO IN MASCHERA for New Orleans Opera. With Chicago Lyric Opera Mr. Blackwell’s roles have included Burnah in Anthony David’ AMISTAD, Henry Davis STREET SCENE, Cal REGINA and The Duke of Verona ROMEO ET JULIETTE. With Los Angeles Opera Mr. Blackwell has covered Bluebeard BLUEBEARD’S CASTLE and the Four Villains LES CONTES D’HOFFMANN and sung the Quartet Bass THE GHOSTS OF VERSAILLES, Ratcliffe BILLY BUDD, Commissioner MADAMA BUTTERFLY, Simone and the Notary GIANNI SCHICCHI, 2nd Soldier SALOME and Aye AKHNATEN. Future roles include the Title-role PORGY & BESS on tour in Europe, the Title-role NOYE’S FLUDDE for Los Angeles Opera and Jimmy Mahagonny Songspiel and La Mere Les Sept Peches Capitaux for the Opera National du Rhin.